LEAD TIME, from order date until time of delivery, is generally between 6 and 10 weeks. Need it sooner? Check our Quick-Ship Gallery or call (888) 922-SOFA. Distinguished by clean lines and a compact frame, the exterior of the Somerset by Lazar is complimented by plenty of obvious benefits. Inside, the revolutionary Paragon sleeper mechanism offers a sleeping experience that is simply unparalleled. Integrating a full 80” long design with a plush memory foam mattress, this sofa bed is sure to amaze. Coupled with a bevy of customizable options, the Somerset’s comfort and quality will be a welcomed addition to any living space. Manufactured entirely in the U.S.A., order yours today. The highlights of the Paragon Sleeper are highlighted in the video below. This page is for the Somerset Paragon Sleeper in the Twin size, but the mechanism and features are the same as shown in the video. This style has a great selection of foot options. Choose your favorite in our Design Center, under "Upgrades." CLICK to see back-cushion options! CLICK to see seat-cushion options! This piece was entirely produced and constructed in the United States. Click "Start Customizing" to choose from a terrific variety of fabric options. How heavy is the Lazar Somerset Paragon sleeper Twin? 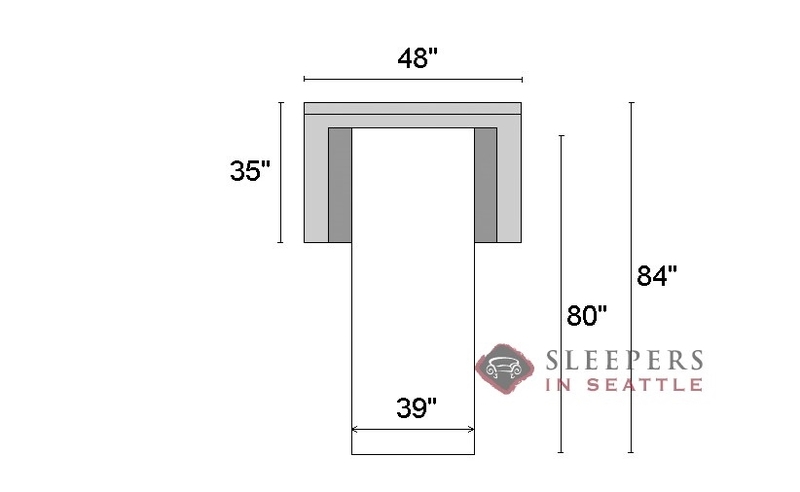 This Paragon Sleeper weighs approximately 200 lbs., due to the wood platform bed inside. That said, our delivery service takes care of all the heavy lifting! I have a wall nook that is only 46" wide (your length dimension). 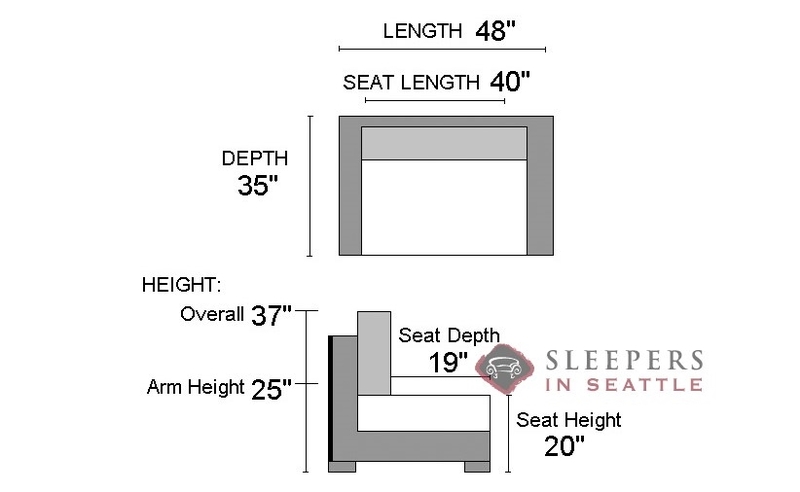 Any options to have the width of a twin sleeper be no larger than 46"? This style is also available at 42", here! All of our products are 100% guaranteed, and shipped with 100% insurance coverage. You may cancel your order for any reason, within 48 hours of time of order. Returns can be initiated within 10 days after receiving your furniture. You will be refunded your entire purchase amount, less our shipping charges, roundtrip. 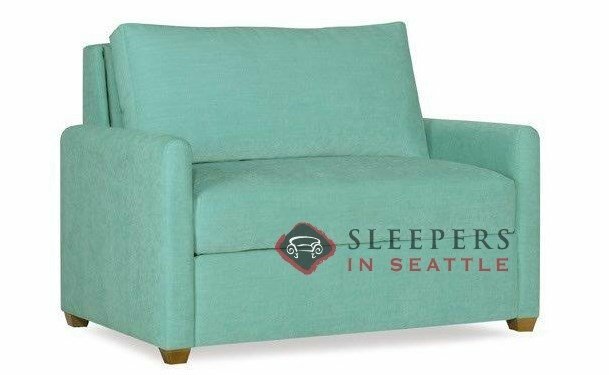 Sleepers In Seattle may elect to replace or repair a component of your purchase in order to deliver the product in perfect condition, in the rare case of damage.